Discussion in 'Pokécharms Organised Play' started by Linkachu, Feb 1, 2011. 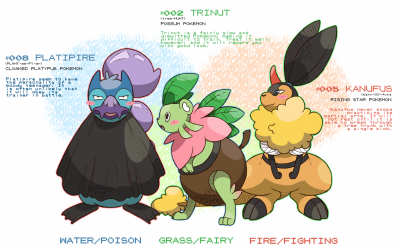 Species Clause: No two Pokemon with the same National Pokedex number can be used on one team. No Evasion Boosting: The use of moves that increase evasion (Acupressure, Double Team and Minimize) is prohibited. Using moves that lower accuracy does not violate this clause. The use of Snow Cloak, Sand Veil and BrightPowder also does not violate this clause. The use of the ability Moody however DOES violate this clause. No OHKO Attacks: The use of attacks that deal a OHKO (Horn Drill, Sheer Cold, Fissure, Guillotine) is prohibited. Perish Song is excluded from this clause due to the way it works. Sleep Clause: You may not put more than one Pokemon to sleep on your opponent's side of the field at a time. A Pokemon put to sleep by the move Rest or the ability Effect spore do not count. Additionally, all Pokemon with the ability Natural Cure must be identified as having this ability as soon as they are put to sleep. Soul Dew Clause: The item Soul Dew is banned from use. Fair Play Clause: If a player uses Explosion, Self Destruct, Perish Song or Destiny Bond to cause a draw, the user of the respective move loses. - Item Clause has been nixed. This is a mostly experimental aspect for me and since I'm being lenient as hell with the ban list I might as well take the same approach with the clauses too...but like most things if extreme abuse results from this change the clause will be reinstated. - Mew, Celebi, Wobbuffet, Wynaut, Latias, Latios, Deoxys Defense, Deoxys Speed and Garchomp are all unbanned due to the new threats present in Gen V, and the belief that these new threats help balance these Pokemon and make them less game-breaking than they were in Gen IV, except in the case of Wobbuffet and Wynaut where the Shadow Tag Clause is responsible for them dropping off the ban list. EDIT 31/3/11: Wobs and Wynaut re-Uber'd, Shadow Tag Clause removed, Moody banned under Evasion Clause. As a note, anyone who says they want Item Clause back to "be different from everyone else" or "because it's always been there" or whatever will be plunged so far into the Void the rest of the world will be in there by the time they find the way out. You know the drill - good reasons either way only please. That goes for all other ideas as well. I mostly see it as a balance thing. Yeah, we have new held items that help tip the scales, but it's still nice knowing that your opponent isn't able to spam one held item repeatedly over their entire team of six. That's not to say I like the clause because it makes things "easier" - because I don't feel it does. Balance in the metagame doesn't equal easier. That's pretty much why the item clause is always used in the official tourneys, I'd say - whether it be the VGC, the UK tournaments, or our own. For common, friendly matches I'm a-ok seeing people mutually agreeing to nix it, but for tournament-style competitive? I think it's worth having in place as a default. Note: I'm speaking about the standard item clause here, not the altered one we used in Gen IV singles. I figure if we're going to use the item clause at all, it might as well be the typical one most people are used to. Is there any point at all of even considering Victini a 'temp' ban? It's available from the get-go, everyone at launch will have one and clones will be all over the place for those who don't pick one up that month. Shadow Tag clause confuddles me also. I personally never viewed it as broken, and only ever understood the Wobbuffet/Wynaut banning in the context of older games that brought everything to a screeching halt in a Wobby vs Wobby situation because you couldn't switch out. This is no longer the case, and hasn't been for a while. It's hardly as if not being able to switch out makes Wobbuffet any seriously more or less effective in the end. Not as far as I can consider anyway. I also feel it should be clarified that Giratina's Origin Forme is (presumably) banned and that Skymin (presumably) is not. Just because they seem like notable mentions alongside others above (like Deoxys' formes). Other than that, it's a very open rule list and there's not really much to say against it. Personally, I've never really cared about the item clause either way - I've never really been one to want to put Leftovers on all 6 of my team members. Although I will admit that a bit of flexibility in being able to double up in a few specific items would be handy enough. I guess I'd probably be more for the rule we had in another instance of allowing the use of one item twice than dumping the item clause all together - but ultimately it doesn't affect my choices so I don't particularly care. With Shadow Tag I basically approached it thinking "Could I make this ability broken and absolutely dominate people with it?" and the answer I came to was a resounding yes. Wobb/Wynaut have Shadow Tag + Encore to give me either a guaranteed free turn for a sweeper to set up if I Encore a non-attacking move (Encore the move, switch in for free, set up as they switch out to break Encore) which can effortlessly win an entire game. At worst, Wobs Encores an attack move and earns a KO via Counter/Mirror Coat. Chandelure is the biggest offender for me due to it being fully capable of setting up and sweeping itself along with the Shadow Tag ability in tow, and that's why Shadow Tag isn't legal - because I can make it break the game. Giratina-O is banned, Skymin is not, although I don't know if there's any way of obtaining Skymin in Gen V yet since you can't trade the Gracidea item over from Gen IV. 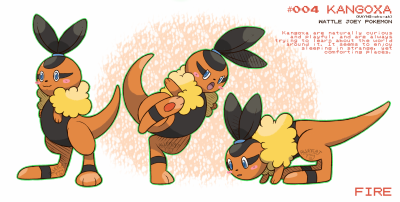 I honestly forgot about them two when making this, probably because they were unusable on Gen IV Wi-Fi anyway. As for Victini, I'll wait for the launch, then you can go nuts. I'll be keeping the ruleset updates as prompt as I can manage - either way works. Chandelure is the biggest offender for me due to it being fully capable of setting up and sweeping itself along with the Shadow Tag ability in tow, and that's why Shadow Tag isn't legal - because I can make it break the game. It wouldn't just take a player like KoL to break the game with it either. Anyone with any clue of what they were doing could do so, so I definitely vote to ban the ability, too. If it comes down to it, I agree. I'd rather see this altered clause back in than no item at all. I think I will be quite frank on this one, I think we just need to try things out and get a general feel of what can and cant break the game. As it stands the gen V pokemon should mix everything up quite nicely and hopefully flush out some experimental movesets and combinations of pokemon from both Gen V and the previous Gens that we can have a look at. Like every banned list, we cant add till its really been done since half the time you will get someone whining about something been broken but then another who says "Why didnt you just try this?" I have seen some horrifying things even today... I saw a weather clause... and no mono clause.... we just have to be careful we dont fall into the same stupid trap with this new gen. I think we have a pretty good team of people here so I am alot more hopeful but lets use the mini tournaments to see if we can find any issues since I am thinking that things will be more/less of a threat depending on whether paired with just gen V or allowed to be with previous gens. I mean, the ban list is about as slack as you can get, and the clauses are all tried and true. None of them are ridiculous and whatnot. Yea I suppose your right with that, I guess I was just saying i agree with whats been proposed and we shouldnt get too caught up with figuring this out quite yet and just go with the flow and see what we come up with. That's pretty much why the item clause is always used in the official tourneys, I'd say - whether it be the VGC, the UK tournaments, or our own. One factor serves to invalidate this: all official VGC tournaments and our UK tournaments are doubles - this is a singles ruleset. I don't think it would make a difference, really. If they ran singles, they'd probably still use the item clause at VGC. Can't speak for the UK tournaments. There are just as many scenarios in singles where spammed items could cause unbalance just as much as in doubles, thus I still feel it should be there as a competitive default. Again, like with all of our rules, it could be removed under mutual agreement between battlers, but still part of the standard default rules. I don't think it would make a difference, really. The difference is actually very significant; in doubles, entry hazards are extremely uncommon since you usually don't get enough time to use them, and the turn you do take to set them up will oftentimes be your downfall - the 4vs4 setup combined with the fact that switching is also uncommon in doubles makes the hazards even less effective. Without Item Clause, you'd see a ton of teams carrying 6 Focus Sashes due to the absence of entry hazards, showing without any doubt that no Item Clause is extremely abusable to the point of absurdity in doubles competition. There is nothing in singles competition that comes even close to this level of abuse with Item Clause's absence, not even Choice Item/Trick abuse since that's a rather niche factor at most, whereas the aforementioned Focus Sash abuse would be undoubtedly widespread to almost every team. I know I'm playing Devil's Advocate with this quite a lot, but these "for and against" reasons are necessary for every decision made with the rulesets - any and all discussion of ideas is appreciated. That's actually not what I meant by "I don't think it would make a difference". That comment was more suggesting the fact that VGC would probably still use item clause even if they weren't using doubles. It's a very standard clause, much like the others we use. As for the doubles vs singles argument, this is true - but there are always exceptions. While doubles doesn't abuse entry hazards as much, it does abuse Hail and Sandstorm - two weather conditions that can negate Focus Sash. Not every team will run that strategy, but if you didn't get your entry hazard up in Singles it'd be a similar situation when facing a team of six Focus Sash users. To everyone who's not me, KoL, or Alex/Bal: not to be a pest, but could you guys tell us what you think about this, too? Otherwise it's just me and KoL debating, and we can do that much more effectively on mIRC... XD Like KoL said, any and all comments are appreciated in helping us reach a decision. I've always liked Item Clause because to some extent I feel it helps to encourage diversity. It's always been a obvious solution to dump Leftovers on every defensive Pokemon and a Life Orb/Choice item on an offensive Pokemon. All different items, or in our case - all different apart from one item, makes you put a little more thought into who gets what, and come up with interesting combinations you may not have considered otherwise. Honestly though, I can't see any of our regular members abusing the lack of the clause, because I think we're a creative bunch anyway, and we aren't silly. Maybe six leftovers sounds awesome to someone without a good understanding of the game, but we all know certain Pokemon would do so much better with other items. Honestly though, I can't see any of our regular members abusing the lack of the clause, because I think we're a creative bunch anyway, and we aren't silly. Maybe they would, but it's still a "maybe," otherwise we wouldn't be having this discussion at all. Odds are you wouldn't face 6 Sash users in singles unless your opponent was an idiot. 6 Sash users in doubles would be far more common because there's far less of a chance that the strategy will be ruined by entry hazards. The other issue regarding Hail and Sandstorm is that if Item Clause wasn't there, those two weather effects would force themselves onto the game to the point where almost every team would be a Trick Room Sandstorm, offensive Sandstorm or Hail team. Either way, the absence of Item Clause in doubles leads to very undesirable results. Saying "let's change things up because this is a new Generation" seems equally as poor. If Gen V was almost identical to Gen IV bar 150 new Pokemon that just slotted into the game with little impact then that would be a poor argument to make without a doubt. 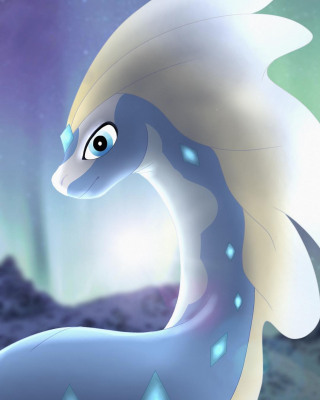 Fact is, the changes are massive - I've already said multiple times that the new Pokemon, items, moves and abilities have made Gen V a very different game to Gen IV already, and that has led to the "clean slate" approach here since several of the Pokemon banned in Gen IV have been needed back to balance the new stuff Gen V has brought to the plate. ...oh, and I've seen a no Sleep Clause match...you do NOT want to be facing a fast Sleep-inducer without that clause unless you enjoy losing, and its absence would definitely lead to major levels of abuse. The main issue with Item Clause in singles is that its absence doesn't really break the game since there's no way to really abuse it in a manner that breaks the game. Choice item abuse isn't really broken, Leftovers abuse is just lazy...laziness is indeed the biggest problem with Item Clause's absence, and sadly many players are just that lazy that they have to stick Leftovers on sweepers or attempt six Sashes only to have entry hazards ruin the strategy, which is definitely why it's good to keep. Basically, removing the other clauses results in broken strategies (Sleep Clause) or things that just make the game really dull to play (Evasion and OHKO Clauses.) Item Clause doesn't really sit in either of those categories. - Prevents laziness with item selection, such as 6 Leftovers/Sashes. - Stall teams are invalidated somewhat by it since they generally need multiple copies of Leftovers. - In singles, the clause's absence isn't really abusable to the point where it breaks the game or ruins the fun of it. The cons in combination are quite significant - you've invalidated a team type with a clause you don't really need. The pro point however is also significant unfortunately thanks to the multitude of lazy players out there that seem to enjoy abusing their privileges. It's a shame, but alas, what can we do? Item Clause is what we can do, and what has been done in the past. ...I think I've actually said all there is to say on my part regarding Item Clause...so I'll let you guys have at it. I do like the idea of having the clause present so that new players are given an opportunity to think about what items work best for each Pokemon they have, as opposed to simply having clauses there to stop crazy people like myself doing bad things and ruining the game for everyone. Basically, removing the other clauses results in broken strategies (Sleep Clause) or things that just make the game really dull to play (Evasion and OHKO Clauses.) Item Clause doesn't really sit in either of those categories. I've always questioned the Evasion Clause myself - and still do to this day - so I'd actually disagree there. To me, Item Clause also prevents the game from being dull, just maybe not for the same reasons you'd consider. Laziness is only one of the factors for me. But yeah, I'm at the same point here. I've said everything I can, and would just be using the same old arguments if I continued. I vote to put it back obviously, so I'll leave things at that and let others decide what they'd rather see happen. I've always questioned the Evasion Clause myself - and still do to this day - so I'd actually disagree there. I do think this is a fair point - if Item Clause being absent would worsen your experience of the game, that may also be the case for others. I will start tallying votes up now - Katie and Magpie have already voted for it to come back, so that's 2-0 to Item Clause's return. Honestly I can see both sides of the issue, but I admit that my rationale for keeping the item clause is rather biased so I'm keeping that to myself. However I don't quite see how the item clause (or lack thereof) will be game breaking unlike the other clauses which are more definite. That maybe because I just haven't experienced Gen V to make a decision on it. There's a part of me that thinks if you want to be (potentially) stupid by using six of one item when you shouldn't be, that's your loss. In the end, it doesn't matter to me if we keep it or not for now. And seeing as I got burned INGAME with evasion hax, I definitely agree that the evasion clause should be kept. I basically lost a battle that should've been easy all because Candice had her Snow Cloak Froslass use Double Team while it was Hailing...several times. - As Alex pointed out Giratina-O is banned, so he's added to the list. - Soul Dew is still banned from use, so that's been added to the ruleset as well. I'm also in favour of keeping the Item Clause (Either the standard or the 1 duplicate thing), I like the variety it brings - we've also ran with it for as long as I can remember and we've never had an issue with it, so I don't see why we should try to fix what isn't broken. The rest of it seems self explanatory, I agree with Bal that we should see what comes up with Gen V and work to accommodate that. Probably should have mentioned this earlier. I've discussed my standing with the clauses and ban list with Katie and Magpie, and we agreed that the Item Clause situation be left as it is at least until people have played (and gotten used to) the Gen V competitive game - then, if people still have grievances regarding its absence (and I'm talking genuinely problematic grievances here) the decision to reinstate it will...well, be left in the hands of the community. we've never had an issue with it, so I don't see why we should try to fix what isn't broken. Stall teams are invalidated somewhat by it since they generally need multiple copies of Leftovers. Invalidating a team type that isn't overpowered is a pretty significant issue in my view. P.S. For those confused, Bal's team is not a stall team. I am all for the item clause being like it is, I think a person would be extremely silly to run too many of the same item solely because if you meet a pokemon who could abuse that fact then of course your pretty much screwed so it may teach a few people a very wise lesson. I'd also like to point out that Item Clause does NOT encourage diversity or bring variety to the game - it does the exact same thing the old restriction list did when it was standard by attempting to force diversity and variety and failing at both in a rather oxymoronic manner. You can't encourage diversity by adding restrictions and thus giving people LESS options to play with - the clause renders a team type (stall) essentially unusable, which means you've got less potential team options and thus less potential diversity. By claiming Item Clause encourages diversity, you're essentially trying to claim 2 - 1 = 3, that taking away from the game opens up new avenues, and this could not be further from the truth. If someone wanted to use a stall team here on 'Charms, it would be nice to, but you can't - Item Clause prevents it (and don't pretend it doesn't, any true stall team absolutely needs at least 4 Leftovers, usually 5, to function properly.) People instead have to use "standard" balanced teams or all-out offense teams, because the stall option no longer exists. Going back to a point Magpie made about trusting the community to be sensible about their items, I have to agree with her 100% on that point. When the old restriction list was panned for being a steaming heap of garbage that only served to make the game worse, people were concerned that the community would suddenly turn to OU cookie-cutter teams in their droves, a fear I was certain at the time was unfounded. In the end, I was proven right - the community didn't use diverse teams because they were made to, they did it because they wanted to and because they chose to, and that was reflected when the restrictions were lifted and people still used the same kinds of teams they always did, except they added a few new options available to them into those teams after the restrictions were lifted. Now THAT is diversity, the blend of the standard and the unexpected, and the ability to freely choose which way you want to swing. Trust in the community worked once before, I feel it will work again. Like I said, I'm impartial to the Item Clause, contrary to what it may seem, I couldn't care less whether it was there or not from a purely selfish perspective, but I've yet to see a single good reason based purely around gameplay as to why it should remain, and I'm talking primarily broken/overcentralizing strategies that can be performed with its absence. If someone can come up with one (believe me, I've tried to myself and I've drawn nothing but blanks) then consider the clause immediately reinstated - pardon me if I highly doubt anyone will come up with anything. Since B/W will be released this week, I'd like to put together a page for the rule set on the wiki. Is it safe the say that, for now, we'll be using this exact rule set as it is? If so, I'll go ahead and build a wiki page with this info. Fyi, I don't mind making changes in the future, ie. adding extra Pokemon to the banned list who've shown to be overcentralizing. I guess it's also worth asking here, too: will the doubles and triples rule sets reflect this set, or will it need to be discussed in a seperate topic? I'd like to get those pages up on the wiki as soon as we can, too. Triples is still very up in the air at the moment, although 6x Wailord is possibly the most retarded thing to ever be shown in B/W so far. Doubles might end up following VGC11 the same way Gen IV used VGC09 here - whether that means everything pre-Gen V is barred from use is open to debate really. Hmm. If that's the case, I'll probably (or you can yourself) post a thread for the doubles Gen V rules with the VGC11 rules as their base. Then we can figure out what we want to keep or tweak. Sound alright? The rules for VGC11 are at the very top of the page.